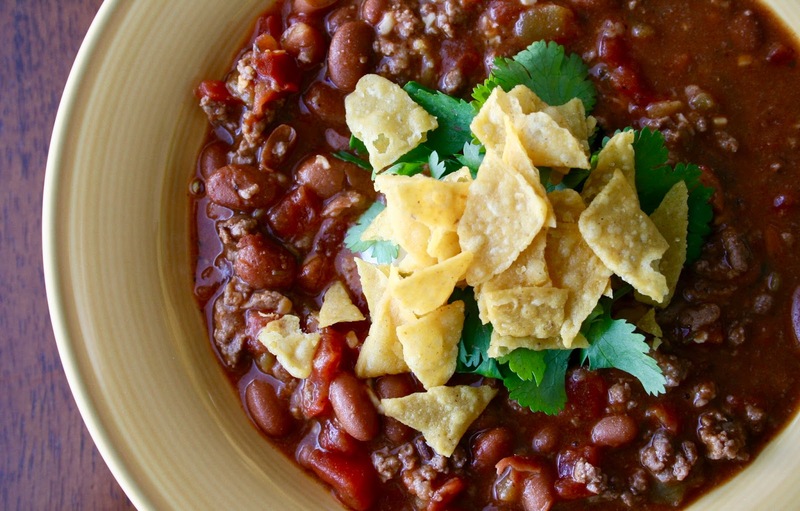 Guys...this Beef Taco Chili is perfect for this time of year! You can either make this with a pressure cooker or on the stovetop and it is bursting with yummy flavor. The main reason I love using my pressure cooker is because it's not only a "set it and forget it" appliance, but it takes a fraction of the time of a slow cooker with similar results. 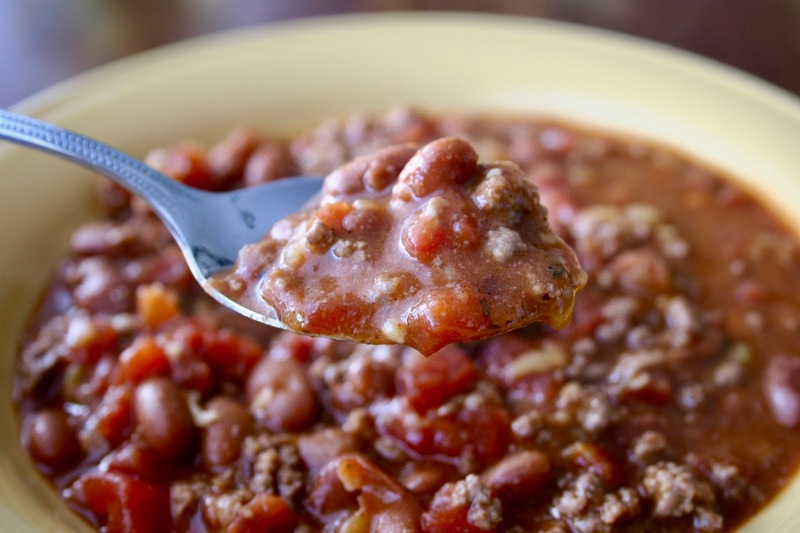 This chili turned out perfectly and we'll definitely be making it in the future. 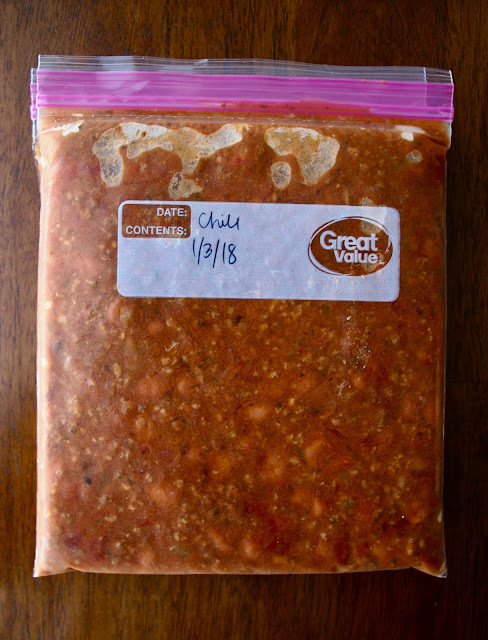 Since this recipe makes a lot of servings, even after eating leftovers, I decided to freeze it and I've listed instructions on how to do that below. I can't wait to reheat this when I need a meal in a pinch! 1. Turn the pressure cooker to the sauté setting. Add in the ground beef and onion. Brown in the pressure cooker and then turn off. Add in the chili powder, garlic powder, onion powder, dried oregano, cumin, salt, pepper, paprika, ranch seasoning mix, minced garlic, undrained chili beans, undrained tomatoes, and undrained green chiles. 2. Stir ingredients until well combined and then secure the lid to the lock setting. Cook on high pressure for 10 minutes and then let the pressure release naturally for 5 minutes. Quick release any remaining pressure until you can open the lid. Stir once again until ingredients are evenly distributed. 3. When finished, top individual bowls of chili with a sour cream, cheddar cheese, lime, cilantro Add a handful of tortilla chips if desired. 1. Cook the ground beef and onion in a skillet over medium heat until browned. Drain off any grease. Add in all of the other ingredients. 2. Stir and allow to simmer over low heat for 30 minutes. 1. Cool soup so it’s no longer piping hot. 2. Scoop or pour into dated gallon or quart-sized zip-top plastic freezer bags. Let out any excess air and seal. 3. Lay bags flat in a single layer in the freezer on a baking sheet; when frozen, stack bags to save space. 4. To reheat, thaw overnight in fridge. Reheat in a pot over low-heat; stirring occasionally.